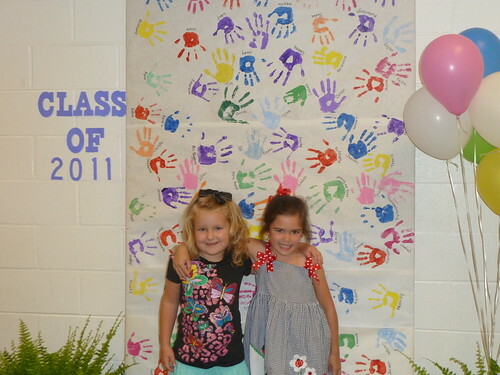 Anna and her friend Emerson posed in front of the graduation display. 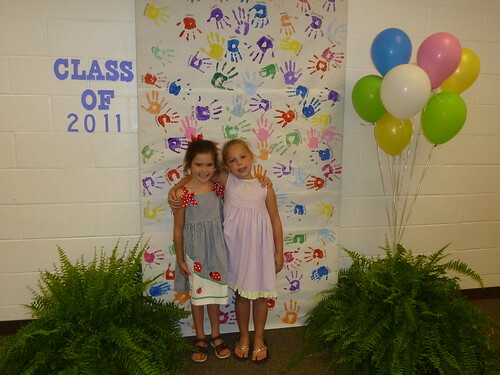 Here is Anna and her friend Josie. We tried to get a picture of Anna getting her certificate from her teacher, but someone walked right in front of us when her name was called. So, she posed with it later. They had a cap and gown for everyone to take a photo. After I got over the initial grossness of putting that cap on her head after it had been on who knows how many kindergarten heads previously, it wouldn’t go over her ponytail. So, here she is in her gown. 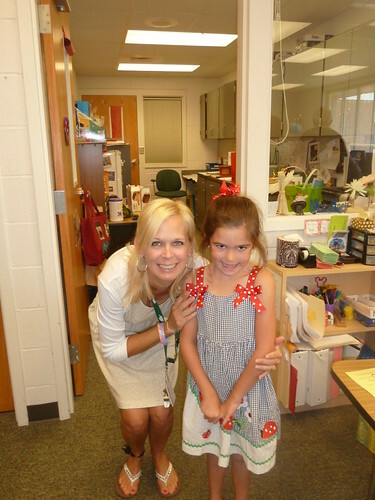 Here is Anna with her teacher Mrs. Harp. 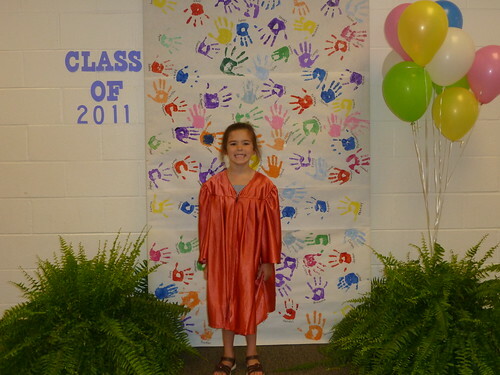 She picked out her teacher for next year in the first grade. She told me that she didn’t know her name, but she wanted the one that looked just like Mrs. Harp because she loved Mrs. Harp so much. 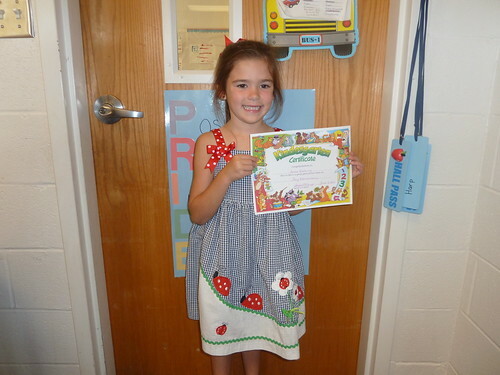 Another year down, the time is flying, and next year I will have a third grader and first grader. Wow! My friend Dennis said on Facebook to enjoy this time now, before they turn into nasty teenagers. He is right! I need to enjoy this time now while we have it.